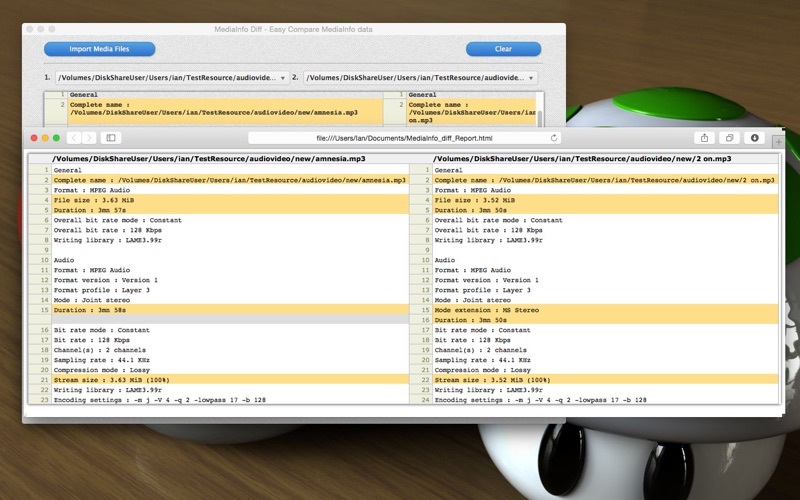 ‘MediaInfo Diff’ app, this Mac OS X utility allows the user to view media file information and compare with other’s file. As you knosw, It’s compare utility for MediaInfo. – Batch import media files are supported. – Clear all import media files to reset. – Quickly compare one with other media information. – Export compare result to html file.